Her skeletal Starfish cello, intriguing in itself, sat in its stand ready for her owner to begin. What unfolded over the following hour was utterly breathtaking. Jo introduced each piece with an explanation, but there was little need for words. The music from her latest album, Caldera, spoke. There was warrior-like determination in Adder Stone, it felt like going back to battlegrounds of warring clans of ancient civilisations. There were soft undertones of maternal tenderness in Eila’s Song, a lullaby she had written for her own daughter. Laurus, Jo explained, was a story of how each individual wears a cloak with their destiny written upon it and how sometimes it was the individual’s mission to remember or rediscover that destiny. Jhanoem the Witch was captivating and haunting with an eeriness that told the story of suspicion and the reality of a sorceress as a healer. Tu Florentine, composed after a visit to the Florentine Valley, was a dialogue of earth and wildlife, of space and emptiness, devoid of human life. Each piece was composed from thoughtful deliberation and an exploration of creating an emotion and a purposeful journey rather than just for the sake of music itself. Jo’s connection with her instrument, the “German Twig”( her aptly named heavy set bow for the gutsier parts of her songs) and her more delicate bow, “My French Lady”, is both a reflection of her sense of humour, and her understanding of their capabilities to enhance her music to achieve the depth of feeling and transportation to whichever place she is sending her listener. Her composition was intriguing, not simply through the dynamics, varying tempos and changes in key signatures, but in the use of technique and technology. A unique element of Jo Quail’s performance and her style in general, was the use of looping technology, a system which effectively allowed the musician to record herself as she plays, layering her music. The use of col legno battuto (creating percussive sounds with the back of the bow in contact with strings) and pizzicato (plucking of the strings) created a backbone to some of her pieces, with the harmony and melody layered in and skin-tingling harmonics which made for beautiful listening. The result was watching one musician that sounded like an entire ensemble creating breathtaking music. But technology that makes her music. Jo said looping enabled her composition to be performed as a solo artist but the composition itself had to have integrity as a stand-alone as a piece of music. Jo Quail’s performance was engrossing, and the connection between the artist and the audience created an energy within the room that had people talking about the sounds, the technique and the composition. 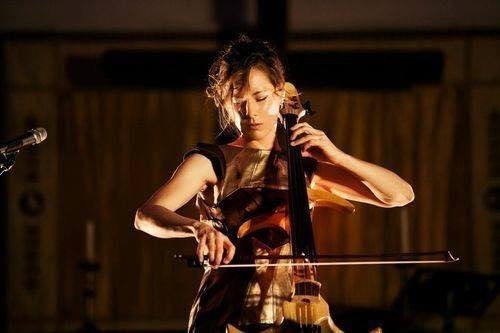 She transported herself, bringing each listener with her on the journey of the story told through her cello. As the youngest of seven children, Damian Howard said he was born into music. Performing and writing songs is intrinsically linked with his identity. “We were born into music, it is part of who we are and we do it for the love of music,” he said. “Our parents brought us up in a musical household where the piano was really the centre of the family. It’s where you would gather to sing and it sounds a bit idealistic but it was just natural to sing in our family,” he said. His elder siblings, Shane and Marcia, forged careers in the music industry as part of the well-known Australian folk- rock group Goanna. Damian fought to emerge from his brother and sister’s shadow and create his own identity within the Australian music scene. “There was always that challenge: being the youngest of the three. I’ve had to walk my own road, as my own person and song writer,” he said. Damian has done just that, first as The Ploughboys frontman and songwriter, and then as a solo artist. Damian has performed in front of tens of thousands at the MCG and at Docklands Stadium but he said he feels more akin to performing to smaller groups. “Performing for a large audience is fun, but it can be impersonal. I draw off the audience at smaller venues and there is a participation between audience and performer,” he said. Being in a band gave Damian a certain amount of security. He explained the transition to becoming a solo artist left him exposed on stage. “As a solo artist there is a lot more flexibility and freedom but when you’re in a band you can get locked into song structures. His new album Once in a While was released in April. “It was labour of love but I’m rapt to be able to play new material,” he said. “The challenge is rejuvenating yourself and redefining your musical style,’’ he said. He said the album had been resonating with people and he had received fantastic, positive feedback about his work. “The ABC picked it up nationally for their play list. It’s the little wins like this along the way, trying to get music out to the masses,” he said. “I released the new album in April. It was done very quickly and came to fruition in January, where I wrote about eight songs. Then we got on a roll and recorded within two weeks. All my musical friends happened to be around at the right time,” he said. Damian is well known for his story telling through his original songs. Although Damian is living his dream of being a performer, it hasn’t been an easy path and he said it was a matter of juggling his passion with his job as assistant principal. “It takes a lot of time and devotion to make sure you can make ends meet, and it kills me to see musicians washing dishes to survive,’’ he said. “I’ve seen too many people suffer for their art,’’ he said. “It’s a long road, but there are so many fantastic opportunities, experiences and adventures and it has taken me to some amazing places around Australia and world. “I wouldn’t swap it for a dollar,” he said. 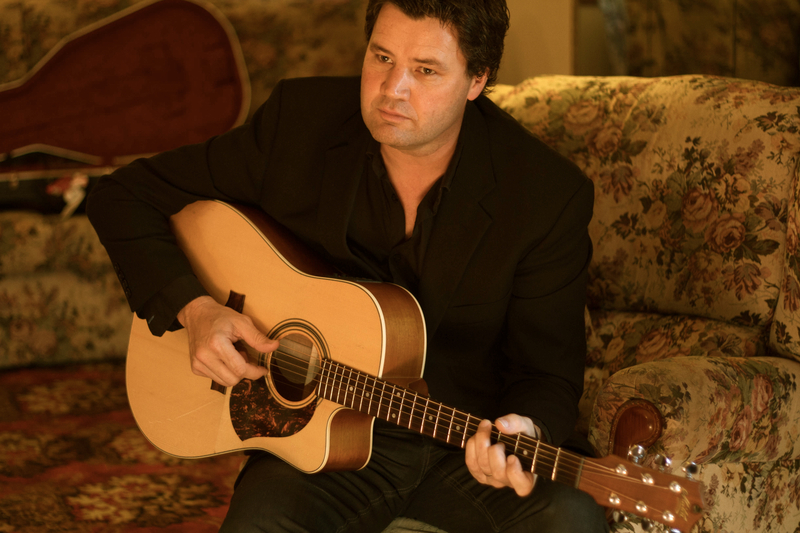 Damian Howard will be performing at Mountain Mumma on July 5.